We will be meeting in the studio in Phoenix Park this Sunday at 10.30 to make a some colourful panels for our Craft Bombing event in May, We plan to wrap a beautiful tree in felt at the crossroads to the zoo. So please do come along and join in if you can, (bring towels, bubblewrap, soap and your fibres), we hope to show the people of Ireland how amazing the world of Feltmaking is, and need all of our members involved. There is an event on in the Park this Sunday with many road closures including the Knockmaroon, however if you approach the Gate from Chapelizod or Castleknock you can park just outside the gate or in the Anglers Rest car park just down the Strawberry Beds road. 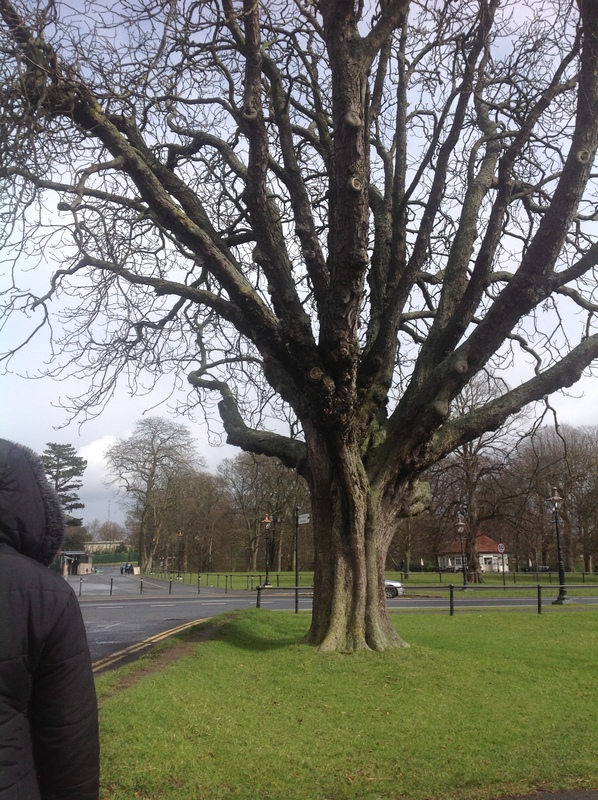 This is the tree that we are planning to adorn for this years Craft Bombing event – it has a very prominent location on the main road of the phoenix Park near the Zoo. It is going to look stunning in May covered with colourful felt pieces.